The Mayor of Oshakati, Angelus Iiyambo, is recuperating at home after he was assaulted by his younger brother Ananias Iiyambo a few days ago. The incident occurred at a shebeen near Iyambo’s traditional homestead in the Onendongo village outside Oshakati on Saturday. 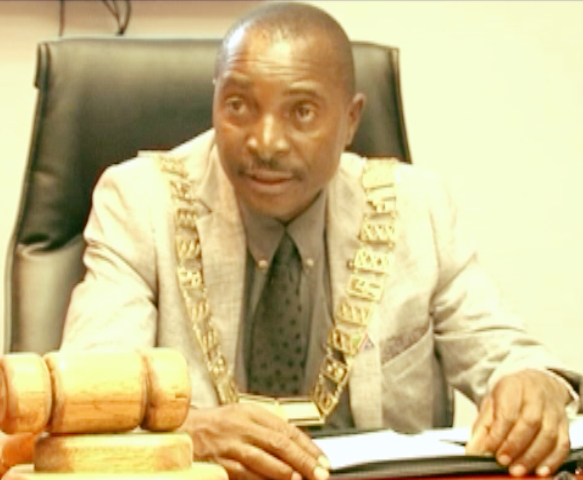 Villagers who witnessed the incident informed Informanté that the two siblings initially quarreled over the family’s goats, but what really infuriated Ananias was allegedly the mayor’s reference on how he assisted his younger brother to become an employee of the Oshakati town council’s fire brigade. The mayor, who was enjoying dry red wine at the shebeen, was repeatedly beaten with a sjambok before the attacker grabbed the half- empty Tassenberg bottle and hit him on the head, leaving him with a gaping wound. The mayor went to the Oshakati intermediate hospital where his wound was stitched. He was discharged and is now recuperating at home. Contacted for comment, Iiyambo was reluctant to directly confirm the incident. “It was just a small issue. I am fine,” he said. When pressed further, he said that “the rumours” are being spread by people who try, by all means, to use such meaningless incidents to tarnish other people’s names. “There is really nothing here to write about,” he said. The alleged attacker, Ananias, equally refused to comment. “What happened was a family issue,” he said. The town council’s spokesperson Katarina Kamari said she was not aware of the incident and police spokesperson Frieda Shikole said that no criminal case was registered at the Oshakati Police Station. 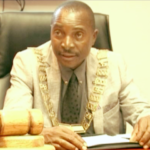 People familiar with Mayor Iiyambo’s thinking said that he did not report the incident to the police because he wants it to be dealt with within the family. Oshana Regional Police Commander, Commissioner Rauha Amwele said that as law enforcement agency they encourage people to report incidents of violent to the nearest police station. “However, there are some people who prefer dealing with such incidents privately mostly due to family pressure,” she said.